Microsoft has posted a list of features that are “removed or deprecated” in the next major update to Windows 10, called the Fall Creators Update. The two that caught my eye are Paint, a simple graphics editor whose ancestry goes right back to Windows 1.0 in 1985, and System Image Backup, a means of backing up Windows that preserves applications, settings and documents. I use Paint constantly. It is ideal for cropping screenshots and photos, where you want a quick result with no need for elaborate image processing. It starts in a blink, lets you resize images while preserving aspect ratio, and supports .BMP, .GIF, .JPG, .PNG and .TIF – all the most important formats. I used Paint to crop the following screen, of the backup feature to be removed. System Image Backup is the most complete backup Windows offers. It copies your system drive so that you can restore it to another hard drive, complete with applications and data. 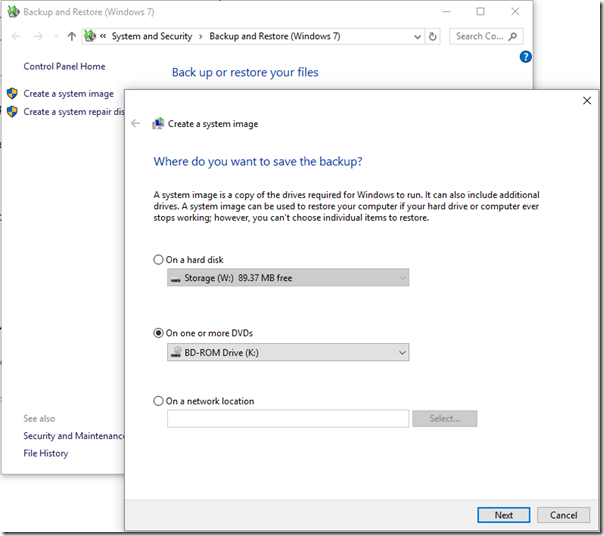 By contrast, the “modern” Windows 10 backup only backs up files and you will need to reinstall and reconfigure the operating system along with any applications if your hard drive fails and you want to get back where you were before. “We recommend that users use full-disk backup solutions from other vendors,” says Microsoft unhelpfully. 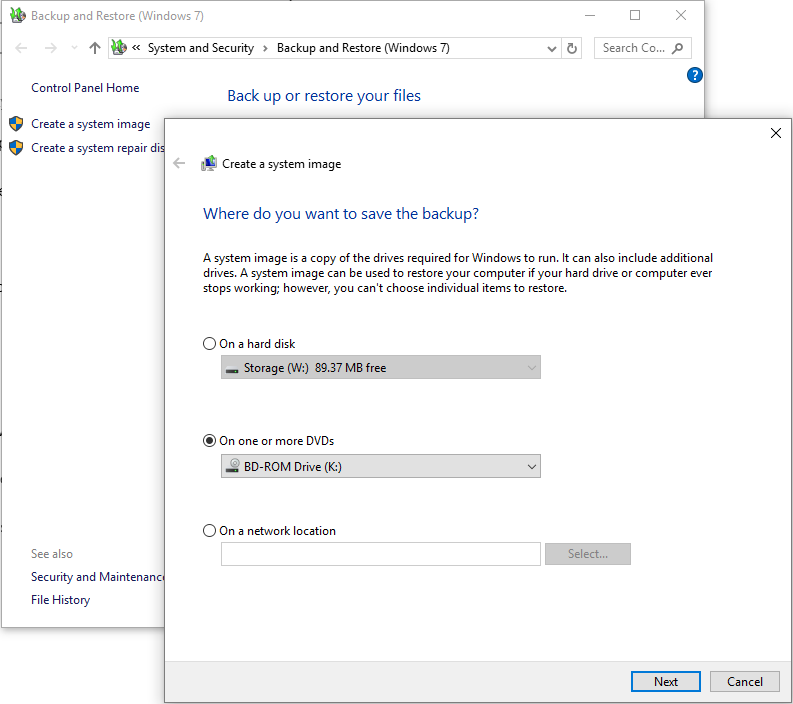 If System Image Backup does stop working, take a look at Disk2vhd which is not entirely dissimilar, but copies the drive to a virtual hard drive; or the third party DriveSnapshot which can backup and restore entire drives. Or of course one of many other backup systems. 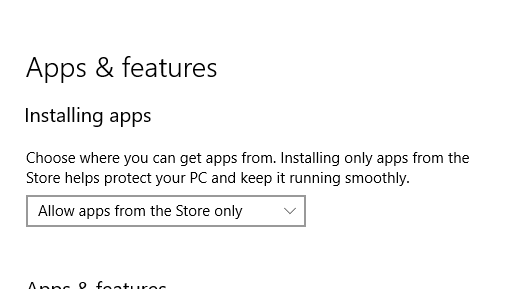 The bigger picture here is that when Microsoft pitched the advantages of “Windows of a service”, it neglected to mention that features might be taken away as well as added. A common problem (I am not sure how common, but there are hundreds of reports) with the Edge browser in Windows 10 is that it gets into the habit of opening and then immediately closing, or closing when you try to browse the web. However this did not fix the problem – annoying after losing the settings. I was about to give up when I found this thread. The culprit, for some at lease, is IBM Trusteer Rapport and its Early Browser Protection feature. I disabled this, rebooted, and Edge now works. Failing that, you can Stop or uninstall Rapport and that should also fix the problem. I got this after upgrading AD Connect to the latest version, currently 1.1.553. The email recommends you run a troubleshooting tool on the AD Connect server. I did that. Nothing wrong. I rebooted, it synced once, then I got another warning. This is only a test system but I still wanted to find out what was wrong. I tweaked the sync configuration, again without fixing the issue. Well, I am glad to fix it, but should not Microsoft’s troubleshooting tool find this simple configuration problem? 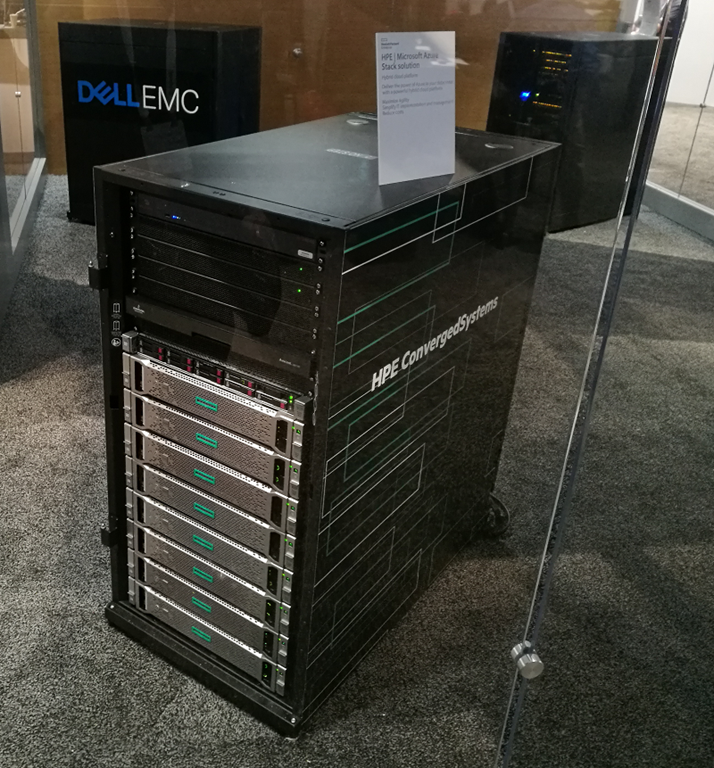 Microsoft’s Azure Stack is a pre-configured, cut-down version of Microsoft’s mighty cloud platform, condensed into an appliance-like box that you can install on your own premises. In this model, you buy software services on Azure Stack in exactly the same way as you do on Azure. The fact that you have bought your own hardware gets you a discount (probably). The paper says “Azure Stack service fees are typically lower than Azure prices”. Standard Edition provides rights for up to 2 Operating System Environments or Hyper-V containers when all physical cores in the server are licensed. For each additional 1 or 2 VMs, all the physical cores in the server must be licensed again. Oh yes, and once you have done that, you need to purchase CALs as well, for every user or device accessing a server. Note too that on Azure Stack you always have to pay the “base virtual machine” cost in addition to any licenses you supply. This is why the only sane way to license Windows Server 2016 in a virtualized environment is to use the expensive Datacenter edition. Microsoft’s pay-as-you-use pricing will be better for most users. The Capacity Model is only available via an Enterprise Agreement (500 or more users or devices required); and you still have to bring your own licenses for Windows Server, SQL Server and any other licensed software required. Microsoft says it expects the capacity model to be more expensive for most users. There are two ways to use SQL Server on Azure. You can use a SQL database as a service, or you can deploy your own SQL Server in a VM. The same is true on Azure Stack; but I am not clear about how the licensing options if you offer SQL databases as a service. In the absence of any other guidance, it looks as if you will have to bring your own SQL Server license, which will make this expensive. However it would not surprise me if this ends up as an option in the pay-as-you-use model. It is worth noting that costs for both Azure and Azure Stack come way down if you use free software, such as Linux rather than Windows Server, and MySQL rather than SQL Server. Since Microsoft is making strenuous efforts to make its .NET application development framework cross-platform, that option is worth watching. You will have to get support for Azure Stack, since it is not meant to be user-serviceable. And you will need two support contracts, one with Microsoft, and one with your hardware provider. The hardware support is whatever you can negotiate with the hardware vendor. Microsoft support will be part of your Premier, Azure or Partner support in most cases. When Microsoft embarked on its Azure project, it made the decision not to use System Center, its suite of tools for managing servers and “private cloud”, but to create a new way to manage servers that is better automated, more scalable, and easier for end-users. 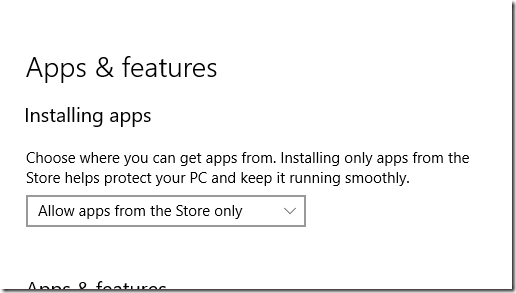 Why would you use System Center if you can use Azure Stack? Well, one obvious reason is that with Azure Stack you are ceding a lot of control to Microsoft (and to your hardware supplier), as well as getting pushed down a subscription path for your software licensing. If you can handle that though, it does seem to me that running Azure Stack is going to be a lot easier and more productive than building your own private cloud, for most organizations. This presumes of course that it works. The big risk with Azure Stack is that it breaks; and your IT administrators will not know how to fix it, because that responsibility has been outsourced to your hardware vendor and to Microsoft. It is possible, therefore, than an Azure Stack problem will be harder to solve than other typical Windows platform failures. A lot will depend on the quality control achieved both by Microsoft, for the software, and its hardware partners. Bottom line: this is the iPad of servers. You buy it but don’t really control it, and it is a delight to use provided it works.